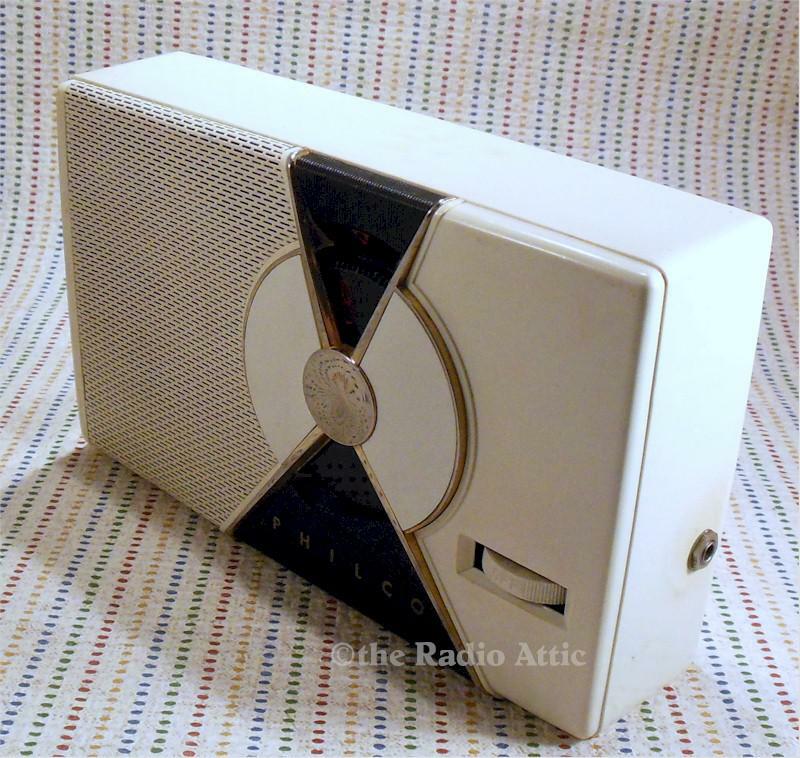 Philco's first transistor radio and it works weakly. Picks up four stations with moderate volume you can hear in a quiet room. No cracks or chips or hairlines. Grille just slightly pushed in but not bad. Bottom a little staining but not bad. This is a clean one. You are visitor number 1,238 to this page.